Applied Coastal provides a broad range of engineering services needed to support design work in the coastal zone. Services include the baseline scientific analyses required for project feasibility studies and conceptual design (e.g. the measurement and analysis of processes in coastal and nearshore environments), numerical modeling of wave and hydrodynamic processes, design of shore protection projects, and environmental permitting. 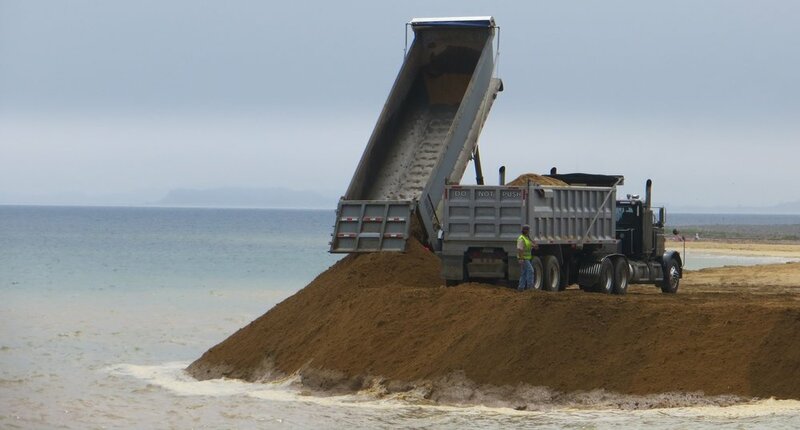 Coastal engineering projects are designed relative to natural oceanographic and geologic processes, and project requirements (e.g., beach nourishment, coastal structures, dredging at offshore sand borrow sites) may result in adverse environmental impacts relative to existing conditions. Applied Coastal personnel perform detailed analyses of coastal processes data sets to evaluate potential environmental impacts and propose alternative designs and mitigation strategies to produce sound project solutions. Advanced techniques required for coastal structure, beach nourishment, channel dredging, inlet structure, or marina/harbor design are employed routinely by Applied Coastal technical staff. Our interdisciplinary capabilities in all phases of project implementation, from feasibility analyses through post-construction monitoring, ensure well-designed projects at consistently high standards. State-of-science analysis techniques for coastal project evaluation and design include quantifying coastal processes and morphologic change, as well as numerical modeling of waves, sediment transport, estuarine and wetland currents/water quality, and storm surge. Through an in-depth understanding of site-specific coastal processes, Applied Coastal personnel are able to evaluate viable alternatives and design appropriate solutions. Additionally, technical staff at Applied Coastal provide the credibility necessary to satisfy environmental permitting requirements at the local, State, and Federal levels. A comprehensive assessment of the City New Bedford’s Clarks Cove shoreline was undertaken in order to provide the background information and coastal engineering alternatives the City will need to address ongoing beach erosion along West Rodney French Boulevard. Applied Coastal personnel were asked to provide technical expertise regarding the design of a beach nourishment project for North Scituate Beach in Scituate, Massachusetts. Analysis of shoreline change for was completed for historical shorelines derived from maps, aerial photography, and a GPS shoreline survey.